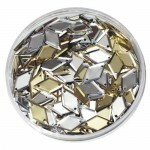 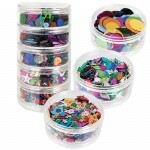 5 stackable containers may have a sequin mix of holographic shapes, stars, diamonds, embossed and flat. 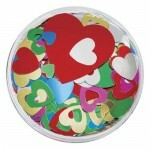 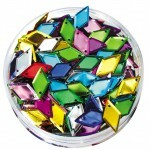 100gm ..
Assorted Colours - Flat Round - pk1000 ..
Stars Assort Sizes - Assorted colours - 50gm ..
decorative - Assorted colours - 50gm contains, bows, doves, butterfly, heart and present ..
Diamonds - Assorted colours - 50gm ..
Diamonds - Gold and Silver Mix - 50gm ..
Easter - Assorted colours - 50gm contains rabbits, eggs, chickens varying sizes in pastels colours ..
Hologram Gold/Silver round - Assorted colours - 50gm ..
Holographic shapes- Assorted colours - 50gm stars and rounds varying sizes can be glue or stitched ..
Large Stars - Assorted colours - 50gm .. 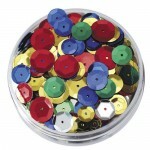 Round assorted colours in Bulk 100gm ..
sequins round embossed, assorted colours - 50gm ..
Christmas Sequins Assort Col & sizes (bulk) - 100gm ..
Christmas mix - Assorted colours - 50gm contains father christmas, snowflake, bells, christmas tree, angels etc. 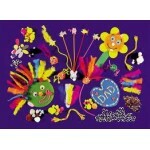 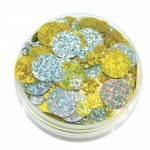 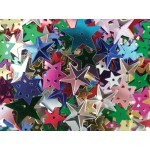 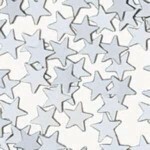 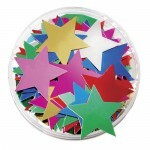 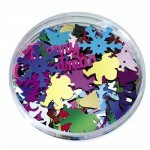 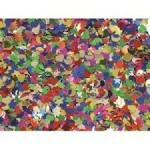 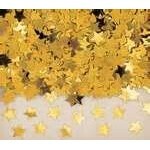 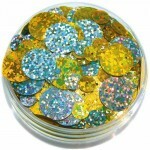 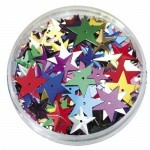 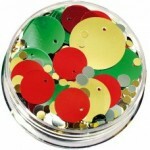 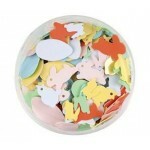 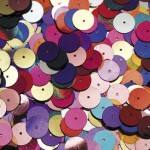 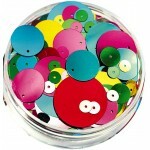 ..
Star Sequins large- Assorted colours with hole - 25gm ..